Notation for improvisers calls much entrenched musical vocabulary into question. “Notation” and “improvisation”, as I explain in Chapter 0, are the most obvious cases, but also “compose” (see Ben Patterson’s “new variation” in Variations for Double-Bass), “interpret” (see Cornelius Cardew’s semantic vacuum in Treatise), and “read” and “write” (see Malcolm Goldstein’s Jade Mountain Soundings) are among them. Because these pieces tend to dwell in liminal regions of musical labor, they challenge the way we usually conceptualize and talk about them. In one way notation for improvisers encourages us to find new terminology that reflects contemporary practice. Perhaps for this reason, composer-improvisers such as Anthony Braxton (1985; 1988), Malcolm Goldstein (1988), Wadada Leo Smith (see Oteri 2014), and Cecil Taylor (1966; see also Bartlett 1995) have made colorful musical wordsmithery an important part of their work.3 I myself have attempted to develop two new verbal constructs relevant to notation for improvisers in this dissertation. In “Entextualization and Preparation in Ben Patterson’s Variations for Double-Bass“, I borrow the term entextualization from anthropologist Karin Barber (2007). This helps to shed light on how Patterson embeds the contingencies of his own improvised performance practice in the score. In “Invitation to Collaborate – Répondez s’il vous plaît!”, I adopt architect Lawrence Halprin’s concept of valuaction (1969, 2) to explore how realtime self-editing modulates the improviser’s interpretation of notation in performance. But the music discussed in Tactile Paths can also encourage us to rethink and reinterpret old terminology. Indeed it is an important objective of mine to encourage readers to reconsider, and not simply discard, more familiar musical vocabulary and what it represents. The hope is that practitioners and scholars might thus see different, perhaps more, connections between various practices than are apparent from other discourses around music. Classical musicians, for instance, might recognize improvisational openings in notational elements that otherwise appear fixed and finished, such as articulation and ornamentation; and dyed-in-the-wool free improvisers might warm up to the potential of scores for diverse reasons, such as minimizing clichés in their own music. With this objective in mind, I dedicate the present chapter to a brief exploration of a word that I have elsewhere used somewhat irresponsibly: score. In the other chapters of the dissertation I use the term almost interchangeably with notation, primarily in an attempt to refrain from numbing the reader with repetition. It is also a result of my embeddedness in the world of practical music-making, where the two words differ very little in meaning. Beyond day-to-day usage, however, there are subtle but important differences between the meanings of these words that lead to deeper issues in the study of notation for improvisers. Notation is often referred to in its uncountable form, like love or water. To me it has a casual, almost benevolent character; it makes communication possible. We use it to observe or “note” things that happen. We build, or improvise, on existing knowledge by “annotating” texts. Scores on the other hand are countable, definitive, regulatory. The modern conventional score includes all the parts, or voices, arranged and synchronized in vertical order like soldiers in file. The score marks winners and losers in competitive sports. It defines success or failure in tests. Creditors keep a score of debts and payments. Scores are boundaries, the containers of notation. So: if notation for improvisers is processual, contingent, and unfixed – as I characterize it throughout this dissertation – what is a score for improvisers? What does it contain? Herewith I would like to improvise on these questions through the lens of composer, electronics improviser, and historian Bob Ostertag’s Say No More project (1993a; 1993b; 1996). Say No More offers ample opportunities to ruminate on these questions, for its score – which consists of both notation and recordings – is at the same time fluid in meaning and rigid in form, rich in suggestions and poor in details. Its notation and language are highly conventional, yet they point to an ensemble dynamic and a sounding music which are anything but. In the following sections, I will unpack its themes and genealogy through three different notions of the word score: a cut, an index of a game, and a record kept. In doing so, I hope this lexical improvisation will lead us to a broader notion of what, and whether, scores for improvisers bound and contain. I will reflect on what these notions tell us about the potential for the medium of notation at a time in which the practice of writing music is, as Ostertag’s project shows, increasingly obsolete. Studio: Say No More and Tongue-Tied (1993) . “Live”/Live: Say No More and Tongue-Tied (1994) . Ostertag received a 30-60 minute recording from each of the performers and edited the material primarily in linear timeline-based audio software (the first version of Pro Tools). The primitive and delicate state of this technology at the time, according to Ostertag, allowed him to chop up and overlay his material, but not to process it. (By “process”, I refer to alterations that cannot be achieved through fragmenting and/or layering the sound file, such as pitch shifting and time stretching.) When this was desired, Ostertag loaded the sound files onto an Ensoniq ASR-10 sampler and recorded himself “playing” the alterations on the sampler back into the Pro Tools session. This technique can be heard at 9:30-13:30 of the Tongue-Tied recording (1b) in the repeated upwards “smear” glissandi in the bass part. As one can hear, the tape collage takes the solo improvisations far out of context. Ostertag often fragments the source material to an atomic degree, rending it from the kinetic totality of its originary performances – the time and physical effort involved in creating it. Whatever “flow” may have been present in the unedited recordings by Baron, Dresser, and Minton is throughly interrupted by Ostertag’s edits. One can observe this even in the first minutes of Say No More, a drum solo followed by a bass and drums duo. Both the solo and the duo include looped fragments of high physical intensity. But they contain no trace of the physical work – the lifting of the arm, the recovery of the bow – required to have produced these sounds. Sectional divisions are hard-edged, with not a semblance of transition between Baron’s positions at the drumkit or Dresser’s changes from pizzicato to arco – all of which require time in the physical world. The relentless intensity of the material and the lack of physical preparation and release give the virtual instrumental parts a superhuman quality that renders them technically unperformable by humans playing physical instruments; this had important consequences for the next generation of the project, in which the players were asked to attempt this impossible feat. 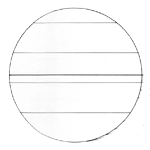 In my opinion, Ostertag also aimed to generate resistance to — or cut and reassemble — performer-instrument couplings in the first generation of the project. Rather than altering his performers’ instruments directly, though, he encourages the “invention or investigation of new possibilities” through the means of studio editing. In this first generation of the project the performers themselves were not directly affected by the process. 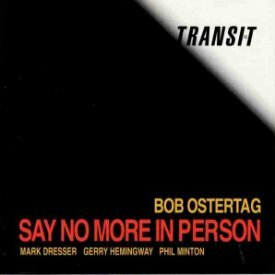 However, in the second generation Ostertag’s cut took on a new meaning when he asked the performers to reproduce the recording in person. In the next phase of the project, Ostertag brought together a live group to play (1) in person. 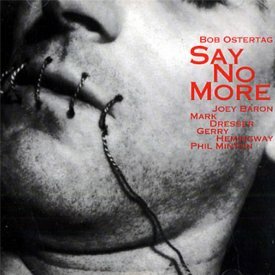 Say No More In Person illuminates the ludic notion of the word score: the “record or register of points made by both sides during the progress of a game or match; also the number of points made by a side or individual”.7 Ostertag’s score indexes, or points to, activity in an ongoing game. Indexicality distinguishes Ostertag’s notation from many other musical game scores. Pieces such as John Zorn’s Cobra (see Brackett 2010 and Cobussen 2016), Vinko Globokar’s Individuum-Collectivum (1979), Iannis Xenakis’ Duel (1959) and Stratégie (1962), or Robin Hayward’s Borromean Rings (2011), written for my duo with him entitled Reidemeister Move, all make the rules in advance and define fields of play. The score of Say No More, on the other hand, points to (and occasionally mediates) a game with no clearly defined rules or playing field.8 How so? Of what does that game consist? Here is the heart of the game: keeping up with one’s digital reflection. What makes it a game, rather than simply a celebration of failure? The Gestalt here is different in kind from authentic celebrations of failure, as for example in early chamber music by Richard Barrett. In Barrett’s music, the spectacle of the performer failing at transparently complex tasks is conceived as an exposition of the absurdity of performance itself, and of the art of composition in the age late capitalism (see Fox 1995). There is no development of failure, there is only “the void” (see Hewett 1994). 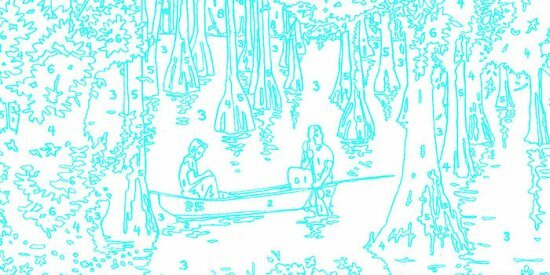 By contrast, Ostertag’s score is ultimately a kind of sympathetic dare, a way of catalyzing the second stage of the game, in which collective creativity takes over. As Ostertag reveals in the previous interview fragment, “the point [was] to use this process to generate an ensemble repertoire of music that’s organic to the way you [Baron, Dresser, and Minton, CW] all play” (Ostertag 2016). Instead of the word “organic”, we might also say “hyper-organic”, to highlight the playful tension Ostertag sought to embed in this new repertoire.9 Ostertag’s sense of the game echoes an important aspect of play brought up by improvisation scholar Marcel Cobussen: the opportunity to stretch one’s competence. Such an opportunity must have appealed to Dresser and Minton, as well as drummer Gerry Hemingway, who accepted Ostertag’s invitation to take Baron’s place. This change in personnel brought a new dimension, a new challenge to the project. It added complexity to the task of recreating Baron’s part, as Hemingway would not have had intimate knowledge of the original recording session and the techniques Baron 1.0 used to produce the material given to Ostertag. Hemingway and Dresser also had a long history together. They had been friends and collaborators since at least the early 1980s, as pillars of the by that time well-known community of iconoclastic improvisers in New York’s “downtown” scene (see Lewis 1996 and Brackett 2010). (Ostertag had also been a part of that community before temporarily leaving music and moving to central America for most of the 1980s (Ostertag 2009)). The bass and drums team had also worked together for several years with Braxton’s “classic quartet”, which included pianist Marilyn Crispell (see Lock 1989). To this end, Ostertag’s notation clearly marks sectional divisions (with capital letters); players’ entrances and exits; repeats; general qualities of materials in each section; and, where appropriate, specific pitches and rhythms. None of the “ambiguities, imperfections, contradictions, and so on, which constitute what might be called the ‘poetry’ of notation” (Barrett 2002) are really at play. The medium of notation is accorded no extra meaning that might detract or distract from the musicians’ game of recreating their superhuman/superorganic selves. From this, one can infer that (1) is not only a part of the score, but its most important part. As I will show, this has provocative consequences for (3). I include this story not only for entertainment value, but to show that the game indexed by the score also included Ostertag himself. By inserting himself into the process, rather than simply challenging Dresser, Hemingway, and Minton from the outside, Ostertag accepted the challenge set to his bandmates as a performer, plus the additional challenge of stretching his own competence as a bandleader, much like Zorn did as the conductor of Cobra,10 or Braxton did while on tour with his classic quartet in the 1980s (see Lock 1988). To bring the human/virtual cycle of (1) and (2) to a temporary conclusion: thinking of scores as containers of rules and regulations, or as boundaries of notational matter(s), limits the view of what may actually be happening between players and their instruments, and between each other – both of which are fundamental to the dynamics of improvisation. Thinking of scores for improvisers as cuts and reassemblies of performer-instrument couplings, or as indexes of games, puts a focus on how they interact with rich performative activity beyond notation’s immediate purview. http://www.tactilepaths.net/wp-content/uploads/2016/08/funband.mp3 Like all bands, the quartet developed through life experience offstage, and inevitably this experience influenced the musical material, as we see in the Austrian odyssey related by Ostertag above. This underlines that Verbatim is a record of collective evolution above and beyond a compositional intervention. If we consider the recording to be itself part of a score, (3) is shown to be an entextualization12 of the band’s life and music practice as a whole, a new opportunity to further refract and reflect upon it. To distill Cardew’s position: written composition belongs to the future,13 improvisation belongs to the present, and recording belongs to the past. This is a conventional schema which I have deconstructed in various ways throughout Tactile Paths – particularly in the cases of A Treatise Remix, in which I improvise over time in the studio with a collection of historical recordings, or Barrett’s fOKT, which, like Say No More, makes extensive use of sampling. It would therefore appear to bring us no closer to understanding how Verbatim challenges this received wisdom. However, Cardew’s formulation opens up considerably through his attention to the “natural context” of improvisation as a score. By calling this context “natural”, Cardew initially suggests that it is somehow external to the act of playing, or given in advance. But he adds that the context “co-exists inseparably with the music, standing side by side with it and sustaining it”, revealing a resonance with the ecological view of notation for improvisers that I have advanced throughout this dissertation (see my discussion of architect Lawrence Halprin’s RSVP Cycles in “Invitation to Collaborate — Répondez s’il vous plaît!”). In this view, the “context” of improvised performance – or the “field of musical improvisation” as Cobusssen calls it – is not fixed or determinate. Rather, it co-evolves with the improviser through performance, or, in Bailey’s words, it is “created by the performance” (1992, 103, my italics). Whereas I claim that scores are but one element of this environment, changing and being changed by other elements through improvisational practice, Cardew claims that the environment is a score – a subtle but intriguing difference. For when we consider the recording of (3) to be a (principal part) of a score, the score to be the environment, and the environment to co-evolve with the improvised performance, we have a feedback loop that in fact describes the Say No More project rather well: performances nested in recordings nested in scores played in performance, the whole of which (re)constitutes the environment in and over time. 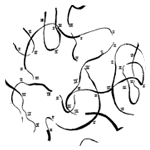 Rather than a static documentation – “the digital freezing of performative flow” (Peters 2014, 9-10) – the “record kept” here is an intractable knot within a knot, an inherently dynamic performative tool. 4. Final Cut – The Future of (Musical) Writing in the Age of Digital Reproduction? Verbatim Flesh and Blood, the fourth and final generation of Say No More, reanimated the third generation, Verbatim – as the second generation, Say No More In Person, reanimated the first, Say No More. As I suggested in the previous section, (3) and (4) differ from the project’s earlier incarnations in that the band had established a voice of its own. One can hear this immediately when comparing (4) to (2): there is a much greater fluidity in the interaction between players, and at the same time a greater proximity to (3), particularly with respect to section timings. By this time, the band had learned how to play together, and had mastered the medium of self-impersonation on which the project was founded. 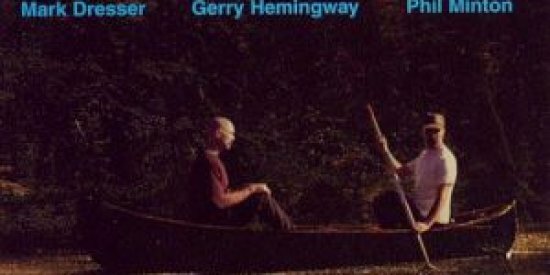 The awkwardness of (2) – apparent in Gerry Hemingway’s nervous drum solo at the beginning of (2a) – is gone. In its place, a kind of tortured flow has emerged. The recording of (4) can thus be seen as a “final cut” of the project in the filmic sense: the definitive final product, the ideal image, of a long and complex collaborative process. But is it really? And what does the success I confer on Verbatim Flesh and Blood say about the relationship of scores and/or notation to recording in the Say No More tetralogy as a whole? In a book chapter entitled “The Future of Writing” (2002, 63-69), philosopher Vilém Flusser discusses the changing historical relationship between images and writing in order to articulate an empowering vision for writing in the techno-imaginative culture of the postmodern era. According to Flusser, “the original purpose of writing was to facilitate the deciphering of images” (64). He conceives of images as “mediations between man and his world, […] tools to overcome human alienation: they are meant to permit action in a world in which man no longer lives immediately but that he faces” (65). In order to make sense of these images as tools, he argues, “one must learn the conventions that give them their meaning […]. For example, the ‘imagination’ that produces road maps is not the same as the ‘imagination’ that produces cave paintings and projections. Explaining images with the help of texts may therefore be useful” (65). I think Flusser’s dialectic presents an uncannily rich way to view the relationship of notation and recording in Say No More. Ostertag began the project in (1) with a recorded “image” of a superhuman virtual trio, “meant to permit action in a world in which man no longer lives immediately” (65) – the “imaginary” world of recording. He then used notation in (2) to explain the recording to the players and direct them to its potential as a “tool to overcome alienation” (64). Although this notation may seem impoverished or haphazard on paper, in practice it played a fundamental role in indexing the game – inviting the performers to play with superhuman images of themselves, rather than be replaced by them. In other words, notation is not only the technical means by which Ostertag represents salient elements in the recording to be reproduced, but also a device that enables his parodical critique of the myth of recording as an ideal performance. In this sense, he goes a step further than Flusser by questioning the presumed divide between the world of recording and the “live” world in which man lives “immediately”. So if one is among the dwindling few to acknowledge the continuing value of scores for contemporary music, how does one contend with their seemingly unstoppable obsolescence? As Say No More shows us, notating music in conventional scores is no longer the only option. Composers and performers can use the very medium of recording (or video or software, for that matter — see Collins 2011) to communicate with each other, and using such nonwritten media can open possibilities for different kinds of communication — some of which may “speak” to improvising musicians more directly than conventional notation. A reactionary return to the internal complexities of writing is in any case unnecessary. At the same time, Say No More shows a possible way forward for written notation: improvise with the context in which it is used. Ostertag exposes contingency and assigns notation a limited but strategic role in a musical environment where people, rather than disembodied sounds, are the subject matter. In so doing, he shows how written notation – and here I explicitly also include “conventional notation” – can be used to interact, play, negotiate, and challenge performers, who may even ignore it if they know the game to which it points. He not only offers an alternative model of the score, but also suggests a path to rethinking the often unfulfilling relationships between scores, recordings, and performances in our time. Eric Andersen (Andersen 2012, 79). Vilém Flusser (Flusser 2011, 162). Verbal creativity can also have its problematic side. 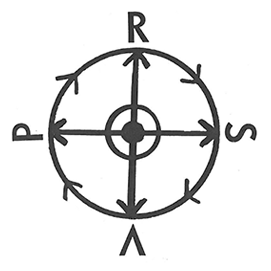 Consider the first lines of an interview between Braxton and music critic John Corbett: “[M]y work in the past twenty-five years has sought to erect a trans-idiomatic context for exploration, and along with that context to create a tri-metric architectonic unit that could serve as a basis for recognition in the postnuclear continuum. I feel the quartet is an excellent example of a postnuclear, tri-metric unit that demonstrates stable logic information, mutable logic information, and synthesis logic information in one time-space, where there is one individual having extended open improvisation and in that same space there is a logic containing two musicians working together […]” (Corbett 1994, 209). 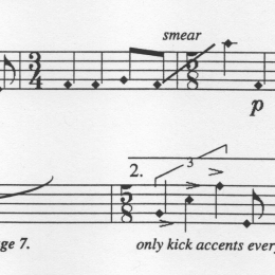 Such idiosyncratic writing makes it difficult for performers and scholars with whom Braxton has not worked directly to penetrate the meaning of his scores, many of which use abstract graphic notation (see Lock 2008). But one can imagine that this barrier is (at least in part) strategic, for two reasons. First, its nontransportability requires interested parties to come closer to Braxton personally, in effect building a community based on oral tradition. Second, the quasi-cosmological character of Braxton’s language (and of his notation as well) might be likened to that of musicians such as George Clinton, Lee “Scratch” Perry, and Sun Ra, whose “black science fictions” (Corbett 1994, 19) articulate resistance to the music industry and white hegemony more generally. (For related thoughts on the nexus of jazz, racial politics, and language see Monson 1996, 73-96.) I would have liked to include Braxton’s work in this dissertation, but I had neither the resources to spend time with him in person nor the time necessary to decode his writings thoroughly (particularly Tri-axium Writings (1985) and Composition Notes (1988)). Thus, I felt it would have been impossible to arrive at an authoritative result. For further comment on the physical coupling of improvisers and instruments, see Oliveros 1984; Denley 1991; Bailey 1992, 98-102; Iyer 1998, 2008; Sudnow 2001; Neumann 2011; and Borgo 2014. The term “studio band” refers to another more common form of virtual ensemble in commercial music, whose players do not play together at the same time in the studio, but rather are overdubbed and mixed in the final production to simulate having done so. The sound of music made with this recording technique differs from that of a band playing together in physical space primarily, though not only, in its lack of a unified “room sound” – bleeding between microphones placed on musicians in the same space – and/or subtle interactive inflections between musicians (as heard, for example, on the band Steely Dan’s 1977 record *Aja* – see Crowe 1977). Oxford Dictionaries , s.v. “score”, accessed 02.09.2016. http://www.oed.com/view/Entry/173033?rskey=EqgMSQ&result=1&isAdvanced=false. In this sense, Say No More might be compared to buzkashi, the national sport of Afghanistan in which horse-mounted players try to drag a goat carcass into a scoring circle. According to Fluxus artist and design scholar Ken Friedman, “Buzkashi has few rules, perhaps none. The field has no boundaries in the legendary tournaments of years gone by. A horseman may do nearly anything on the road to victory” (2016, 9). This it shares with Barrett’s more recent compositions for improvisers, such as fOKT, which extends and amplifies the resources of his duo FURT. There is no extant list of live performances of (2), but when I asked Ostertag about Say No More in Person‘s performance history he recalled “off the top of my head: tour of japan, angelica festiavl [sic], mulhouse festival, numerous club dates in europe, kunstencentrum voruit in belgium, merken [sic] hall in nyc, calperformances in berkeley, Moers Festival, Bimhuis in Amsterdam, Taktlos festival” (Ostertag, personal email to the author, 2 August 2016). The Taktlos Festival performance is discussed in a chapter on Ostertag’s music in Wilson 1999. For a more thorough discussion of the term entextualization, see “Entextualization and Preparation in Patterson’s Variations for Double-Bass“. Here Flusser centers exclusively on the visual. In a rare discussion of the auditory, from which I took the quote at the beginning of my chapter, he states: “As the reader will surely have realized with surprise and annoyance, I have excluded everything to do with ear and mouth, with sound and words, from my thinking” (2011, 164). Nevertheless his analysis of writing – common both to visual and musical practice – is useful for reasons I elaborate below. Andersen, Eric. 2012. 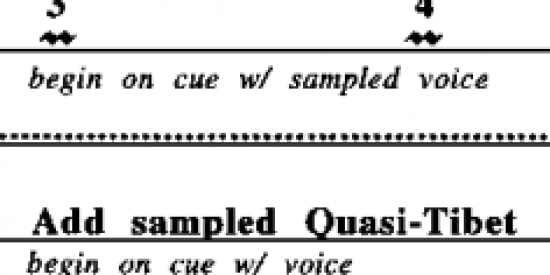 “In Mezzo a Quattro Tempi.” In Word Events: Perspectives on Verbal Notation, edited by John Lely and James Saunders, 79–82. London: Continuum. Armstrong, Newton. 2006. An Enactive Approach to Digital Musical Instrument Design. Saarbrücken: VDM Verlag Dr. Mueller e.K. Bailey, Derek. 1993. Improvisation: Its Nature and Practice in Music. Boston: Da Capo Press. Barber, Karin. 2007. “Improvisation and the Art of Making Things Stick.” In Creativity and Cultural Improvisation, edited by Elizabeth Hallam and Tim Ingold, 25–41. Oxford, New York: Berg. Barrett, Richard. 2002. “Blattwerk: Composition / Improvisation / Collaboration.” http://richardbarrettmusic.com/BlattwerkEssay.html. Bartlett, Andrew W. 1995. “Cecil Taylor, Identity Energy, and the Avant-Garde African American Body.” Perspectives of New Music 33 (1/2): 274–93. Boretz, Benjamin. 1981. “If I Am a Musical Thinker.” Perspectives of New Music 20 (1/2): 465–517. doi:10.2307/942424. Boulez, Pierre, and Martin Cooper. 1990. Orientations: Collected Writings. Cambridge, MA: Harvard University Press. Brackett, John. 2010. 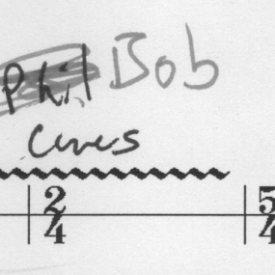 “Some Notes on John Zorn’s Cobra.” American Music 28 (1): 44–75. Braxton, Anthony. 1985. Tri-Axium Writings. Middletown, CT: Synthesis Music. ———. 1988. Composition Notes. Middletown, CT: Synthesis Music. Cardew, Cornelius. 1971. “Treatise Handbook.” In Cornelius Cardew: A Reader, edited by Eddie Prévost, 95–134. Essex: Copula. Cobussen, Marcel. 2016. The Field of Musical Improvisation. Leiden: Leiden University Press. Collins, Nicolas. 2011. “LMJ 21: Beyond Notation: Communicating Music.” Leonardo Music Journal 21 (1): 5–6. Crowe, Cameron. 1977. “Steely Dan Springs Back: The Second Coming.” Rolling Stone, December 29. http://www.theuncool.com/journalism/rs255-steely-dan. Department of Medieval Studies, Central European University. 2016. “Materials and Techniques of Manuscript Production.” Medieval Manuscript Manual. Accessed November 20. http://web.ceu.hu/medstud/manual/MMM. Evens, Aden. 2005. Sound Ideas: Music, Machines, and Experience. Vol. 27. Minneapolis: University of Minnesota Press. Flusser, Vilém. 2002. Writings. Minneapolis: University of Minnesota Press. ———. 2011. Into the Universe of Technical Images. Minneapolis: University of Minnesota Press. Fox, Christopher. 1995. “Music as Fiction: A Consideration of the Work of Richard Barrett.” Contemporary Music Review 13 (1): 147–57. doi:10.1080/07494469500640331. Friedman, Ken. 2016. “A Game without Rules.” Performance Research 21 (4): 9–19. Halprin, Lawrence. 1969. The RSVP Cycles: Creative Processes in the Human Environment. New York: George Braziller. Lewis, George E. 1996. “Improvised Music after 1950: Afrological and Eurological Perspectives.” Black Music Research Journal 16 (1): 91–122. doi:10.2307/779379. Lock, Graham. 1989. Forces In Motion: The Music And Thoughts Of Anthony Braxton. New York: Da Capo Press. ———. 2008. “‘What I Call a Sound’: Anthony Braxton’s Synaesthetic Ideal and Notations for Improvisers.” Critical Studies in Improvisation / Études Critiques En Improvisation 4 (1). doi:10.21083/csieci.v4i1.462. Monson, Ingrid. 1996. Saying Something: Jazz Improvisation and Interaction. Chicago: University of Chicago Press. ———. 2009. Creative Life: Music, Politics, People, and Machines. Champaign, IL: University of Illinois Press. ———. 2016. "Bob Ostertag in Conversation with Christopher Williams." Unpublished interview. Oteri, Frank. 2012. “Wadada Leo Smith: Decoding Ankhrasmation.” NewMusicBox, May 1. http://www.newmusicbox.org/articles/wadada-leo-smith-decoding-ankhrasmation. ———. 2014. “The Obligation to Improvise.” https://www.academia.edu/15816123/The_Obligation_to_Improvise_Schoenberg_and_Beckett_2014. Rutherford-Johnson, Tim, Michael Kennedy, and Joyce Bourne Kennedy. 2012a. “Notation.” Oxford: Oxford University Press. http://www.oxfordreference.com/10.1093/acref/9780199578108.001.0001/acref-9780199578108-e-6533. ———. 2012b. “Score.” Oxford: Oxford University Press. http://www.oxfordreference.com/10.1093/acref/9780199578108.001.0001/acref-9780199578108-e-8167. “Score, N.” 2016. OED Online. Oxford University Press. Accessed August 31. http://www.oed.com/view/Entry/173033. Taylor, Cecil. 1966. “Sound Structure of Subculture Becoming Major Breath/Naked Fire Gesture.” In Unit Structures. LP, Blue Note 84237. Wilson, Peter Niklas. 1999. Hear and Now. Hofheim: Wolke Verlag.